Roadcast is a meteorological prediction system designed to ease the planning of road winter maintenance tasks such as the the application of preventive measures (melters) or snow withdrawal team's management. Roadcast provides as a result the forecast for every road sector for several meteorological variables (temperature, preciptation, wind, snow, humidity, etc.) for de next 72 hours with a resolution of 20 minutes. Roadcast receives the output of the meteorological models such as the GFS global model provided by the NCEP or regional models like WRF. Regional models usage is strongly recommended in zones with complex orography (for example in high mountain roads). In both cases, Roadcast applies an advanced forecast calibration module based on Kalman filters. These filters use real time observations from the meteorological stations installed in the road to adjust the model forecasts in this point, obtaining a more accurate forecast. Afterwards, the METRo model is applied and a climatic characterization of the different sectors of the road (conditioned to weather types) is used to create the forecast of the road temperature on each sector of the road. 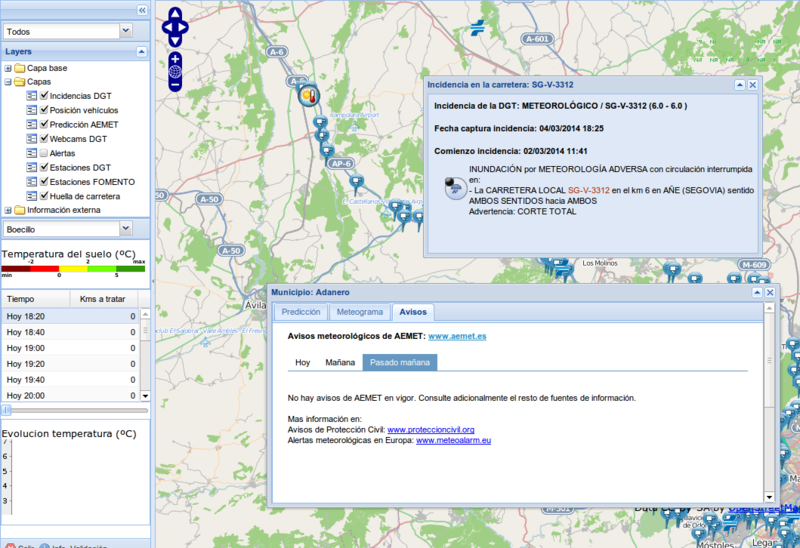 Roadcast has an web user interface with GIS characteristics, with several layers of weather information, logistics (vehicle positioning) and other sources (such as alerts or web cams). 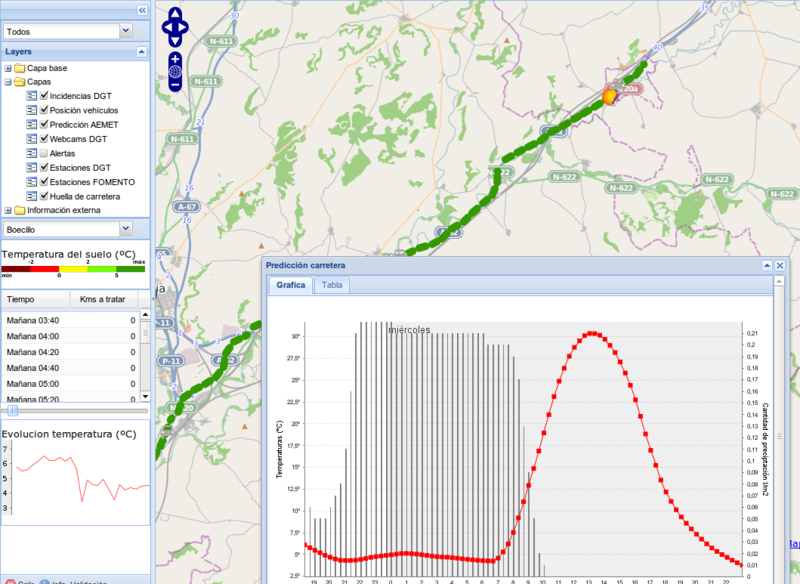 The user interface is visual and intuitive but also allows to explore detailed forecast details, its uncertainty and the observed values measured on the road. The web interface based on layers allows us to define other data sources customized for each user.